Lock in a great price for Langzhong Ancient Town Qinyou Inn – rated 8.3 by recent guests! The location is great and the room was very comfortable. Good value for money. The family was very welcoming and helpful. They can give a good foot massage. The guesthouse is located in a quiet street in the old town. It is close to the busstop. Good location in the beautiful old town. Walls were thin but room ok apart from the squat toilet... You get what you pay for and one night was fine. Friendly staff who communicated by translator app. The town is well woethical visiting! The inn is in the old city easy walk to all the sights. The room was a good size and cheap. The owners are lovely. Would stay again but pay a little more for a better room. Lovely kind staff, helpful and polite. They have children who are super sweet and want to practise English, they are super smart. I wish I was that smart as a child. I felt part of the family it was great, any problems or matters they explained everything. L accueil sympathique; la chambre joliment décorée; le lit confortable; l emplacement; l excellent rapport qualité prix. 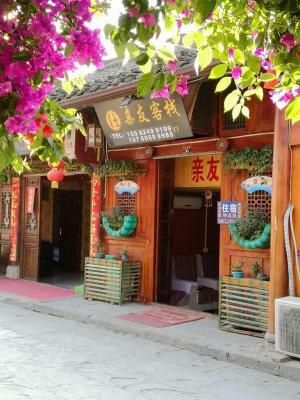 Langzhong Ancient Town Qinyou Inn offers accommodations in the Old Town of Langzhong. Free WiFi is available in all areas. Langzhong Ancient Town Qinyou Inn is a 10-minute drive from Langzhong Pedestrian Street. Langzhong Coach Station is located a 10-minute drive away. The guestrooms at the property are all equipped with air conditioning and a flat-screen TV. Guests may find an electric kettle. Every room also comes with a private bathroom fitted with shower. Langzhong Ancient Town Qinyou Inn has free luggage storage space.Daily maid service is available. This property also has one of the top-rated locations in Langzhong! Guests are happier about it compared to other properties in the area. This property is also rated for the best value in Langzhong! Guests are getting more for their money when compared to other properties in this city. 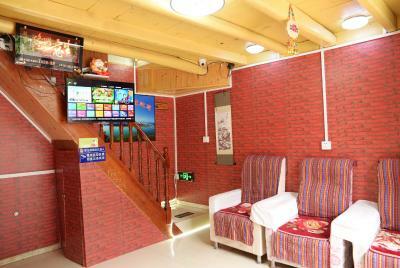 When would you like to stay at Langzhong Ancient Town Qinyou Inn? Private parking is available at a location nearby (reservation is needed) and costs CNY 20 per day. 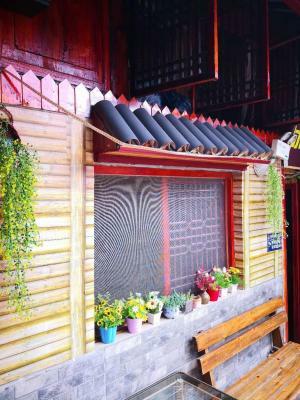 House Rules Langzhong Ancient Town Qinyou Inn takes special requests – add in the next step! Hard to find, and the staff was not so helpful, but still nice. Also, the bathroom was extremely small. Not much. Good to stay. It's a great place. Just not used to bit having keys and didn't like that there was a curfew, I wanted to watch a band play and drink a cup of coffee but I had to be back and in the hotel by 10pm and the band finished 10pm. The bathroom was very small and needs to be renovated. Squat toilets in the rooms. Very basic room. 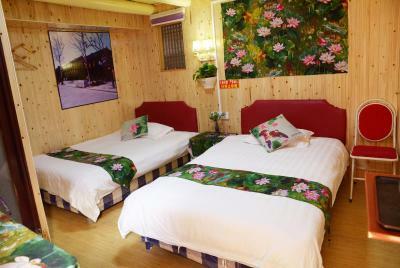 You get what you pay for, for 80yuan you get a good room with a bathroom, squat toilet and hot shower over the toilet. For an extra 20 you get aircon. The WiFi is not great, we noticed the family often sit out front near router to watch internet.